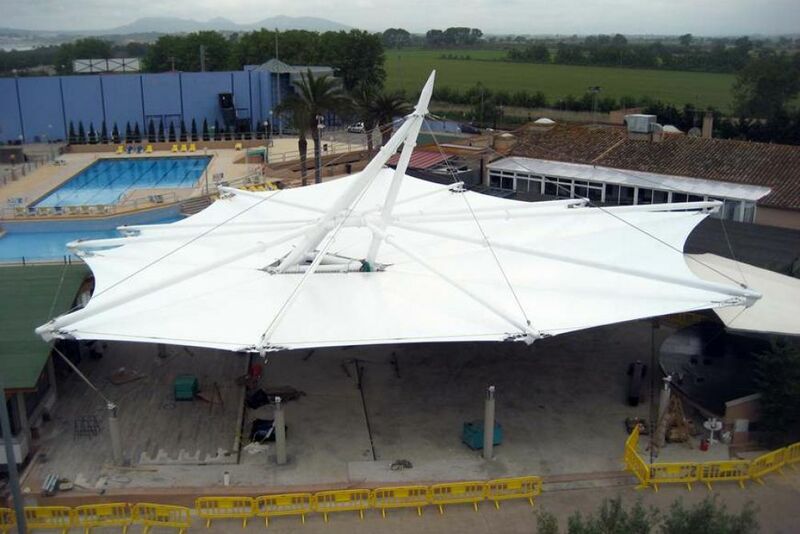 Camping Les Dune is very close to one of the Costa Brava beaches. 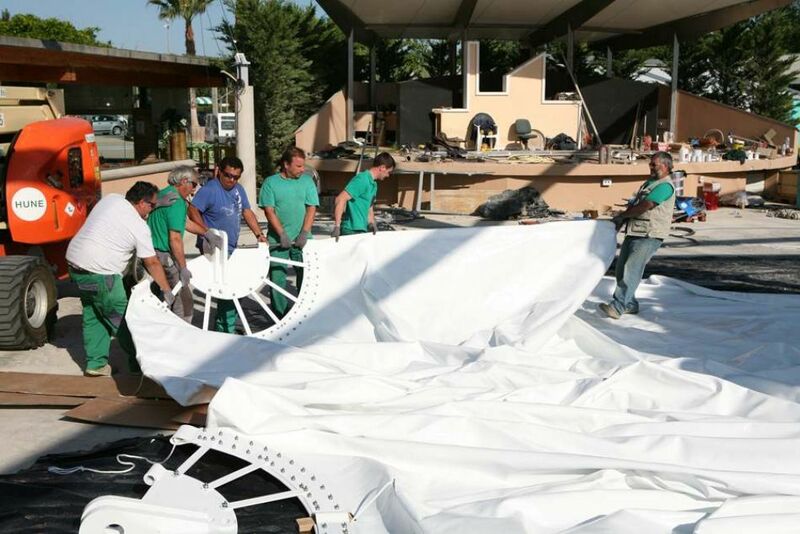 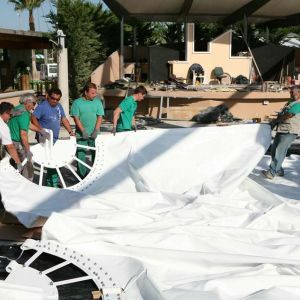 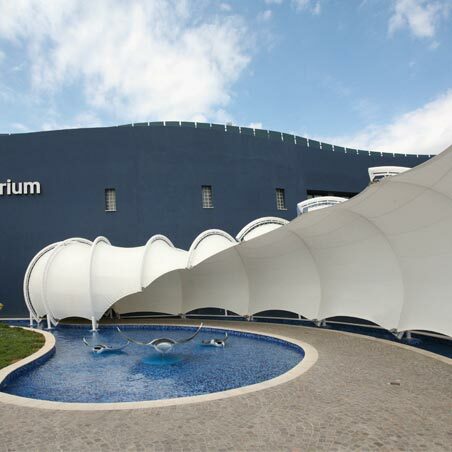 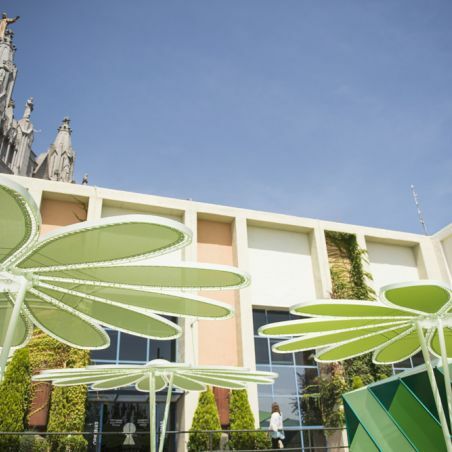 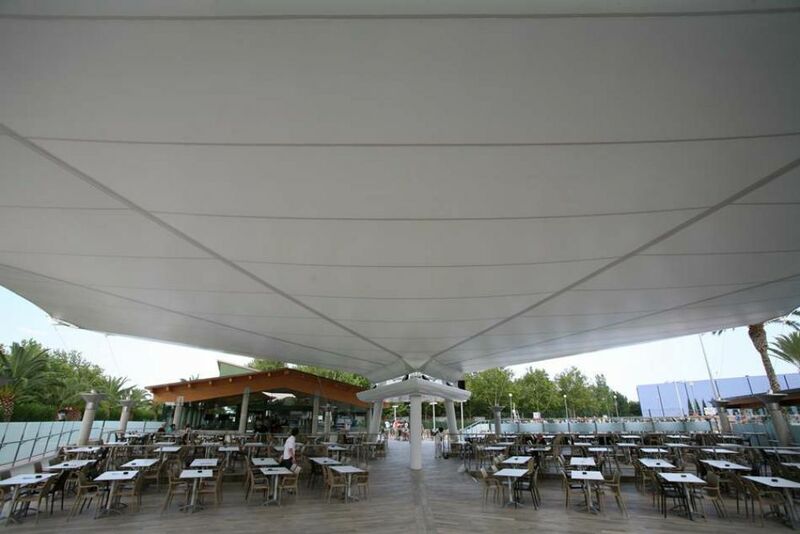 A tourist resort with a common area, it has been expanded through a new textile covering. 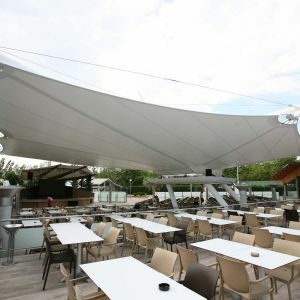 The entire complex of cables, booms and fabric is reminiscent of sailing ships. 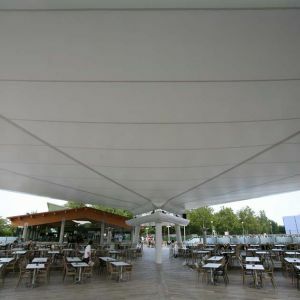 Its inclined central pillar stands out where the radial bars divide, stabilised by cables, allowing for the fastening of outer vertices of the membrane. 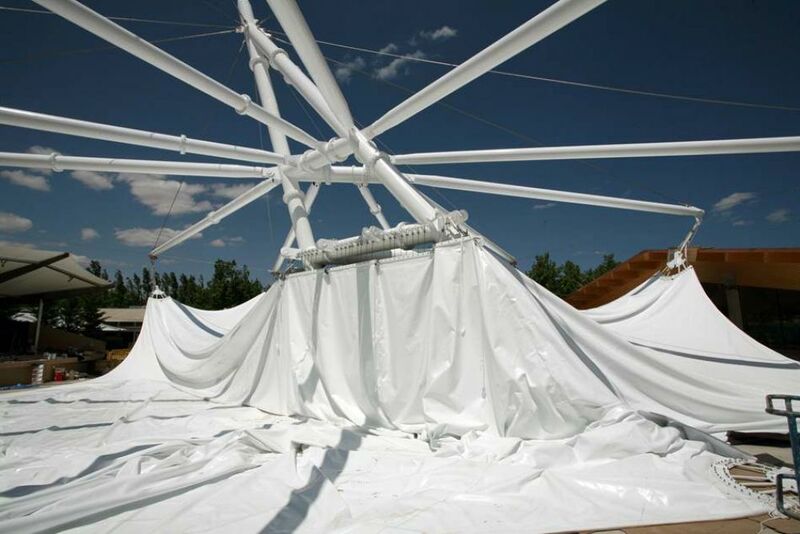 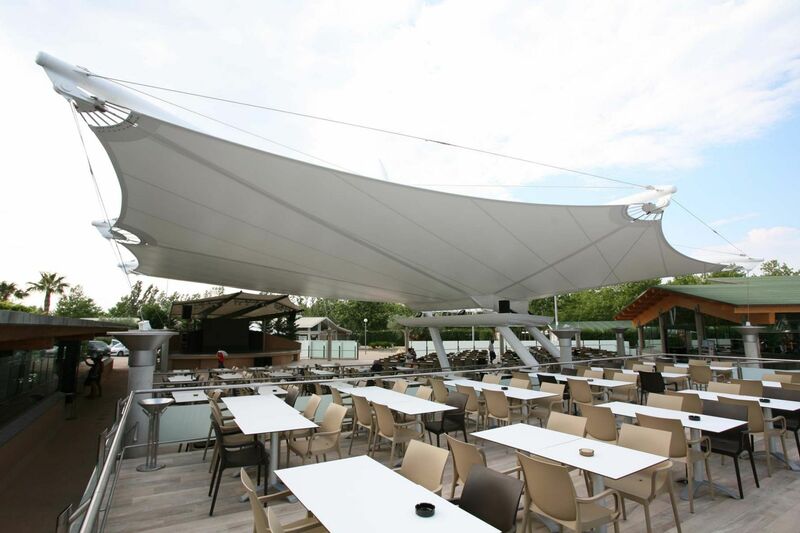 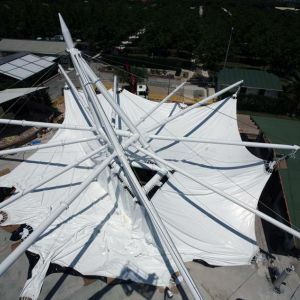 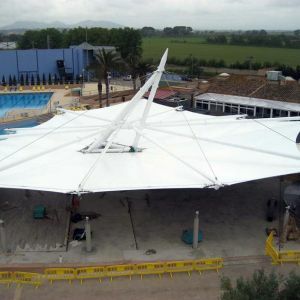 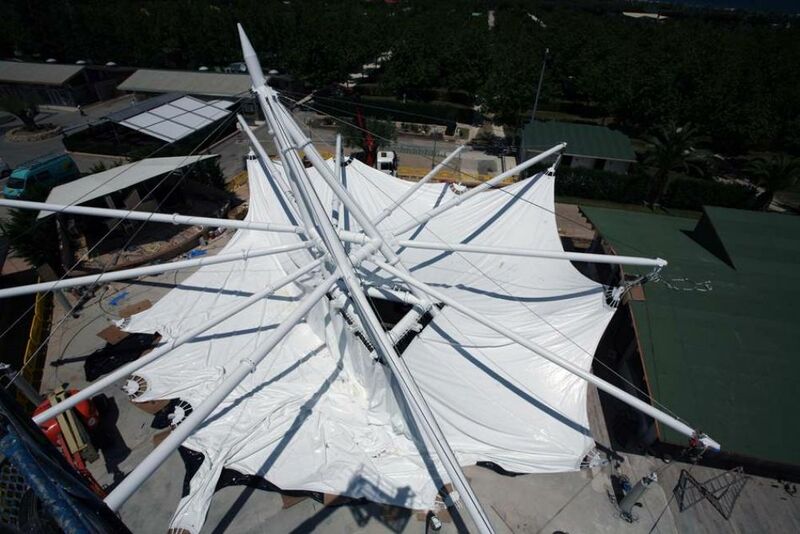 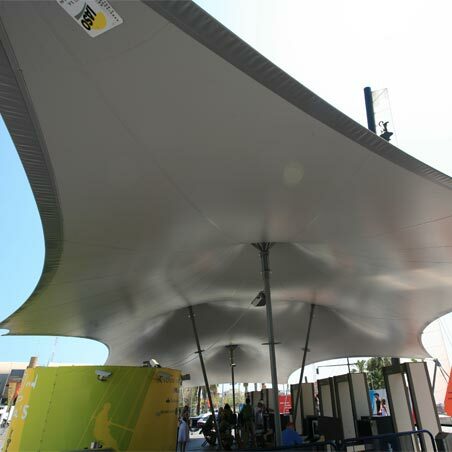 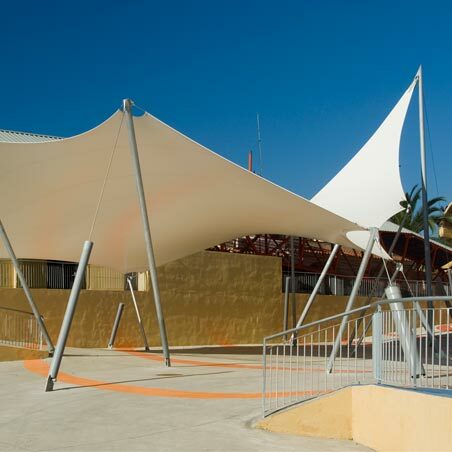 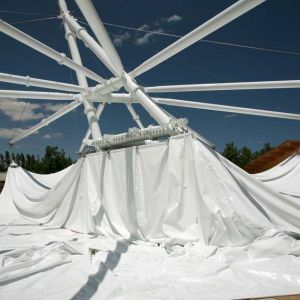 A unique tensile structure, offering more sun protection in outside spaces and comfort for visitors of Camping Les Dunes.